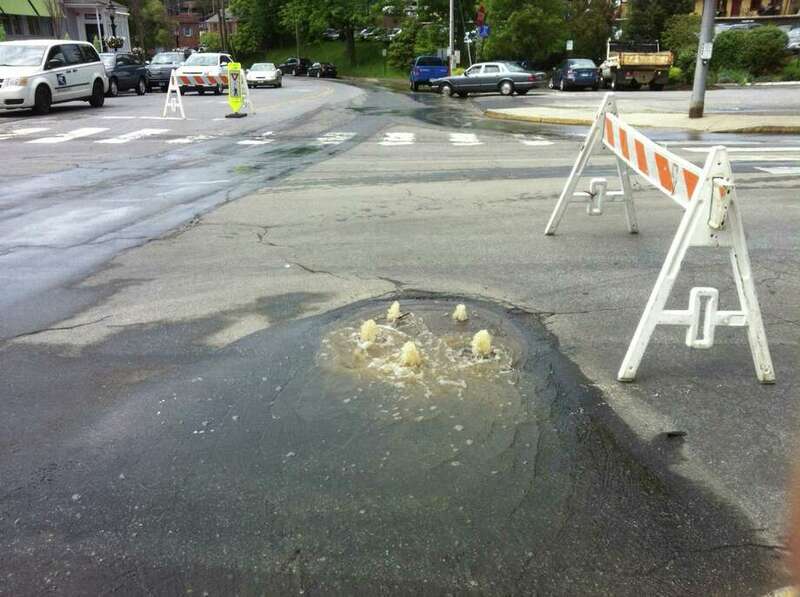 An apparent water main break shattered the pavement at the intersection of Park and Elm streets last week, snarling downtown traffic and leaving downtown businesses without water. The break happened at 11:40 a.m., according to New Canaan Police Public Information Officer Sgt. Carol Ogrinc, sending swift streams of water running downhill on both sides of the road toward Cherry and Pine streets, where more water gushed through a closed manhole cover. Police blocked Park Street northbound at Pine Street and directed traffic moving downhill south on Park Street around the damaged area of pavement.